JSC "Jungtinis tiekimas" is dealing with many of the most reliable and famous building materials suppliers in Lithuania and Europe. The company is strong in offering a reliable and long-term cooperation with the prospective merchant network, as well as the opportunity to expand the circle of traders, thus increasing market awareness while increasing sales of the products. Stay in the JSC "Jungtinis tiekimas" Membership offers great potential for product sales through all partners. 1998 "ACC Distribution" is an IT, household appliance, peripheral equipment solution. as a home appliance, as well as a lifestyle electronics device distributor. The company has established branches in Latvia, Estonia, Kaliningrad (Russia), Belarus, Georgia, Armenia, Azerbaijan, Kazakhstan and currently operates in nine regions. 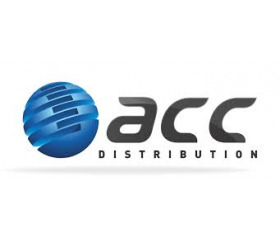 ACC Distribution represents over 200 well-known brands worldwide and serves over 4,000 active customers in five distribution centers. The company specializes in developing the distribution of IT, CE, Talco, SMB and B2B segments. 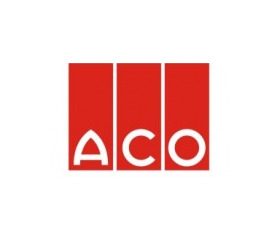 ACO Group was founded by Josef-Severin Ahlmann in 1946 in Rendsburg, Germany. Business development and specificity have created twenty independent companies around the world, each with their own management instructions. ACO - System solutions for our customers to drain water from materials that are eternal. 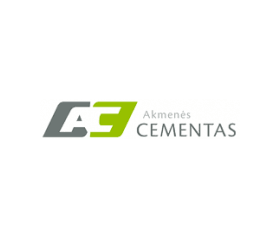 Akmenės cementas SC is located on the northern edge of Lithuania near the border with Latvia. The cement factory was started to be built in 1947. In Akmenė district, Karpėnai village. 1952 September 20 the first clinker burning furnace started to turn here. A second 127 m long furnace was built and put into operation a year later. 1959 the third was completed, and in 1961 - the fourth production line for cement production. 1996 this four-turn complex, as economically inefficient, was closed. In collaboration with two Austrian family companies - Wopfinger Baustoffindustrie and Wietersdorfer Gruppe, 1988. created by Baumit. It is a brand that opens the way for eco-friendly, energy-efficient construction solutions. 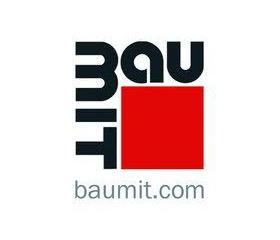 Baumit is an actively growing, leading European brand. The company also has a representative office in China, and since 2007 has a representative office in China. - also in Lithuania. The company's success recipe is a wide range of quality products, reliable delivery of goods and a well-established brand on the market. JSC Bauroc is a member of Bauroc International Group AS, which specializes in the production of aerated concrete. The first unit was manufactured in 2001 in a newly opened factory in Estonia. 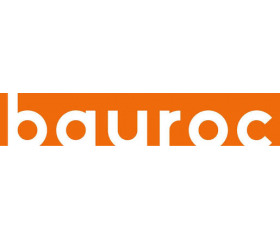 In its day-to-day activities, Bauroc UAB is primarily guided by the company's internal policy, whereby the quality of production and the preservation of the environment are placed first. Betafence is the world's largest manufacturer of fencing systems with the largest range of fencing and access control products. 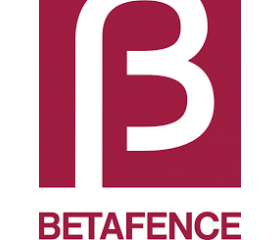 Betafence can enjoy 130 years of experience in producing top quality fences. 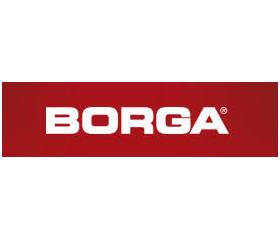 Borga is a Swedish brand that brings together a group of companies based in various European countries. Borga Group develops, manufactures and markets complete, innovative steel structures and quality components for construction. Until we are on the market, buying and building a modern steel building will be easy. 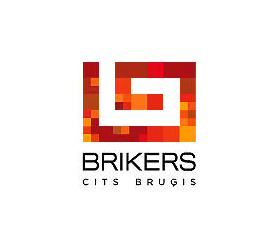 Brikers JSC Brikers offers a wide variety of high quality pads - from economical Prizma 5 to exclusive marble inlaid pads. Our pads are made of raw material from the Baltic countries. Favorable prices and a wide range of products enable us to successfully cooperate with major project executives, architects, municipalities, and private customers. All factories are equipped with professional concrete processing equipment made in Germany, which guarantees the production of very precise, high-density concrete and high-density concrete blocks, road and sidewalk curbs, clay blocks, outdoor flower pots and other concrete products. Working purposefully and without interruption, our company has achieved a very large sales volume and has become one of the largest manufacturers of concrete blocks and curbs in the Baltic States. Welcome to Caparol! 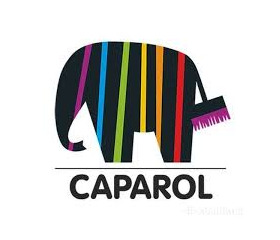 If you are building a home, installing a home, renovating or protecting buildings - Caparol will choose the best materials and the best solution for each project. Excellent product quality and extensive technical expertise will help you realize the most ambitious idea. We cherish feedback and collaborate closely with our customers, so we know the construction requirements and the challenges that builders are facing. Eternit Baltic is a manufacturer of fiber cement roofing and facade finishing, located in New Akmene. The company has been operating for more than 20 years. 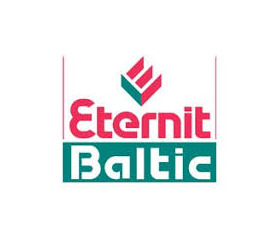 UAB Eternit Baltic is a representative of Etex group companies in the Baltic States and offers a wide range of roof, facade and interior materials. Etex Group has companies in 39 countries. The origins of this group are in Belgium. Finnfoam thermal insulation materials (XPS-extruded polystyrene, FF-PIR - polyisocyanurate boards and FF-EPS - polystyrene foam) are high quality products that can be used to install efficient and reliable insulation from foundation to roof. 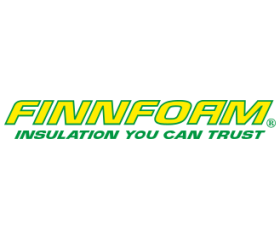 Finnfoam has over 30 years of experience in manufacturing, developing and supplying thermal insulation materials. All products and structural solutions have been tested in harsh Finnish natural conditions. Granitinė skalda JSC Granitinė Skalda is a granite factory operating in Vilnius for over 50 years, one of the largest and economically strongest granite producers in Lithuania. The company is a member of Milsa ir ko, the Association of Crushing Manufacturers. Our main activity is the production of granite chips and the unloading and loading of mineral materials. JSC Gutta Baltic is located in Vilnius, the capital of Lithuania. It was established in 2006. February 7th. We are representatives of the Swiss company Gutta in the Baltic States. Gutta products are characterized by good quality, eco-friendliness and innovation. Guttanit or gutta do it wavy bitumen sheets are durable, durable and inexpensive. They are ideal for roofs or wall finishes. The production of Haus is made in a new modern factory according to the special traditional technology - cold concrete casting and natural drying. Haus's special qualities are acquired through innovative concrete preparation and vibration technologies used in the process. The most advanced automated technology line, low cost of composite materials, low energy consumption - all allow you to create high-quality and low-cost Haus products. 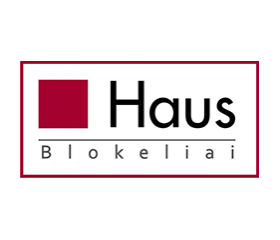 Haus blocks are made of natural, harmless materials for human and environment: cement, gravel, sand, water. 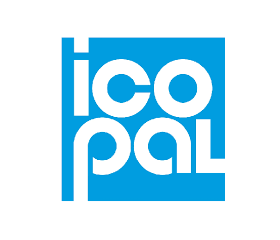 Icopal operates throughout Europe and the US under local sales and production laws. At present, Icopal has 36 factories using state-of-the-art manufacturing technology, as well as 95 representative offices, with a team of continuously-developing staff to meet the needs of the customer as much as possible. The company pays great attention to protecting the environment by recycling and reducing production waste and saving energy in order to improve roofing and waterproofing materials. The leader of Lithuanian construction soil, putty, plaster and paint production Ignas Krisčiūnas' firm IGIS is known as one of the most innovative producers, perfectly able to combine traditions and innovations. 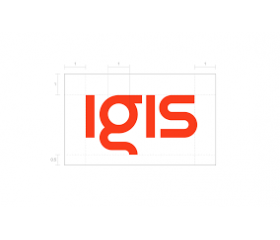 IGIS is based on high quality products. The company's products do not harm human health, meet all the strict requirements of the European Union, the latest technologies are implemented in accordance with the environment, ecology. The company's strategists collaborate with specialists from Western laboratories in Switzerland, Finland, as well as with Lithuanian scientists. Over the years, IGIS has developed an interior and exterior finishing system that guarantees durability and beauty. 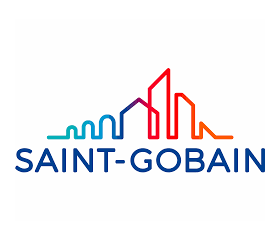 Saint-Gobain Group develops, manufactures and distributes materials and systems for the well-being of each of us and cares about our future. 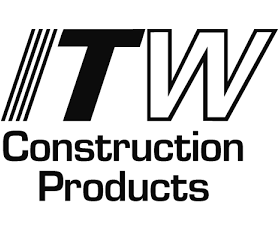 ITW Construction is a member of the international concern ITW (Illinois Tool Works). Our goal is to create fastening solutions that best meet local conditions. We contribute to product development, focused on our customers, and product quality. The ITW Group has 84 companies in 57 different countries, and the total number of employees is 48,000. In the new product catalog you will find all the information you need about the tools and their accessories. In addition, all your questions will be answered by our customer service and sales staff. We are also always ready to provide courses for employees of our distribution companies and end users. Polystyrene foam, polystyrene foam, thermal insulation materials - production. 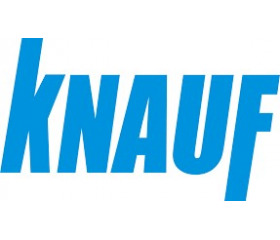 Knauf - is a world-renowned manufacturer of building materials and systems. The bold approach to the future, the ability to keep pace with time, investment in innovation, simple and quick decision-making, creative employee initiative are the unique features of Knauf. Lode Lode is the largest manufacturer of ceramic building materials in the Baltic States. Between 1987 and 2006, LODE produced tiles. - "tennis". Production LODE is sold here in Latvia, Estonia, Poland, Russia and other countries. 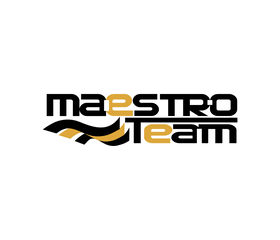 The long experience of JSC Maestro Team guarantees the quality of our products and services, so we invite you to become our partners. We offer architects, designers, construction organizations, manufacturers, trading partners and others who want to cooperate. Magnaplast Sp. z o.o. 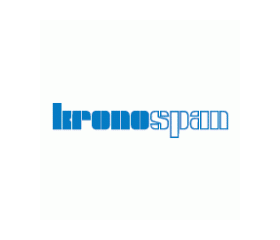 is part of a German holding company that manages products from plastic factories across Europe. Since our inception, we have been relying on high product quality and competitive prices. Quality control system ensures high quality of raw materials and already produced products. Our experience shows that it is impossible to produce high quality products from poor quality materials. Therefore, we buy all the raw materials needed for production from well-known and reliable Western European suppliers. JSC "Mida LT" is the only factory in the Baltic States that produces polymeric bitumen roofing: flexible tiles of various colors, modifications, thicknesses and geometric shapes for slopes and roller coverings for flat roofs. Monier has the right tiles for your roof. We produce exclusive tiles for classical architecture and inexpensive tiles for modern homes. Zanda, Dantegl or Minster tiles are excellent examples. We offer both traditional and advanced products with one brand - Monier. 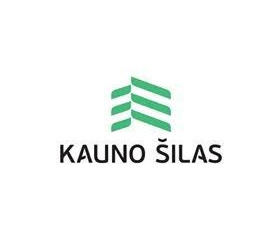 Multipack is a distributor of Folsen, Spino and Kleen products in Latvia and Lithuania. The company is proud to offer its customers high-quality European brand products. The Folsen brand offers a wide range of professional adhesive tapes for both industry and home use. Spino is a very rapidly developing brand offering a wide range of products for the household, such as adhesive tapes, garbage bags, disposable tableware and kits, as well as other products. Norgips - various construction materials - wholesale. Ox Tools These are high-quality mechanical tools (spirit levels, roulettes, hammers, chisels, etc. ), diamond cutting discs and work safety tools. Production is made in various countries: Australia, China, India, UK. The central office and the goods are unloaded from the UK (UK). For the last two years, OX TOOLS has won the best brand awards in the UK by passing IRWIN, MARSHALLTOWN, BAHCO and others. Paroc PAROC® is an energy efficient and refractory stone wool product and solution for new and renovated buildings, industry, marine industry, shipbuilding and acoustics. Pipelife manufactures and markets a wide range of high-quality plastic pipe systems, providing specific solutions for both municipal infrastructure and industrial and residential construction. Our business is based on the development, production and distribution of plastic pipe systems. We create closed water circuits, energy distribution systems, telecommunication networks and meet industry needs. Pipelife occupies an exceptional position in the market, providing customers with quality products and services that are constantly being upgraded and upgraded to the highest quality standards. Pipelife's mission is to improve the quality of life by finding valuable solutions that affect environmental protection and energy related to pipeline systems, water, wastewater or other liquids, cable protection, and electrical installation. JSC Pro Colore was founded in 1991. In the initial phase of our business, our main activity was wholesale and retail trade of construction and finishing goods. 2000 we started producing water based acrylic primers, paints, putty and other building finishing materials. 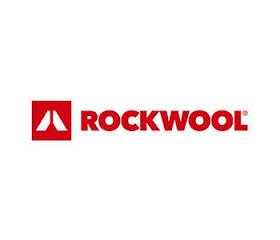 Rockwool For over 20 years we are part of ROCKWOOL, a global leader in stone wool solutions. We started our business in the Baltic States in 1995. In Vilnius. In Latvia, the Representation was established in 2000 and in Estonia in 2008. Ruukki Ruukki is the only company that manages the entire steel roof production chain: using solid steel made in its foundries in Finland, constantly developing, developing and testing products in aggressive environments, using non-worn equipment for profiling. 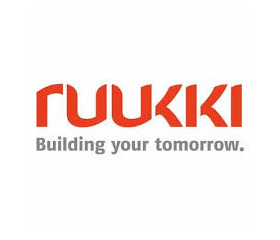 Therefore, Ruukki is fully responsible for product quality, resistance, geometry accuracy. Using more than 60 years of experience, Ruukki has developed surface, polymeric coatings that are highly resistant to mechanical, atmospheric, and UV exposure, with the longest-lasting color of the roof. Ruukki roof coverings provide a guarantee of up to 20 years of aesthetic qualities and up to 50 years of technical performance (issued under the "Warranty Booklet"). SAKRET in Lithuania 2008 On August 20, 2010, it officially started production in the largest dry building mix plant in Kėdainiai, the Baltics. 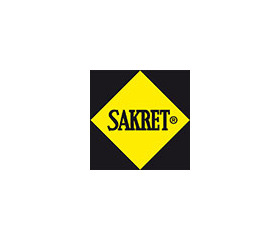 SAKRET products are the most popular and oldest used dry building mixes in Germany, Central Europe, Sweden and Norway. According to SAKRET license dry building mixes are produced in Germany, Switzerland, Czech Republic, Hungary, Holland, Turkey. 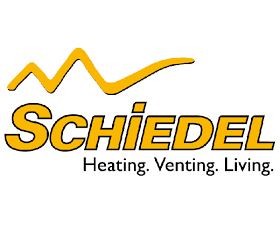 Schiedel is the largest and most up-to-date chimney system manufacturer in Europe, and as a market leader in chimney systems, the company offers you a complete range of products that can solve various chimney technical problems, providing you with the highest level of functionality and safety in eliminating exhaust emissions. -is year warranty for company production. 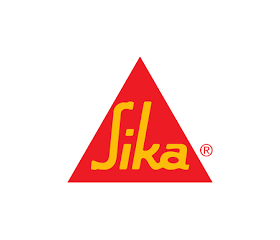 The Sika product line is designed for a wide range of work related to high quality roofing membranes, concrete mixes, special mortars, seals and adhesives, repair and fastening materials, protective coatings, flooring and sealing systems. Successfully used in many and often difficult to overcome areas, our products have earned professional respect all over the world. Today, in more than 90 countries, Sika continues to assist engineers, architects, professionals, contractors, and other industry professionals. The company continues to retain the name of a trusted partner. tesa, with a reputation of 98%, and a popularity of 76%. (GfK, 2012) is one of the strongest brands in the German domestic market. The name of this brand was even included in the authoritative German Duden dictionary. However, tesa is far more than the famous classic adhesive tape. Now, as a European joint-stock company and Beiersdorf AG (its other brands are NIVEA, Eucerin and la prairie), we are a wholly owned subsidiary of more than 7,000 products and system solutions. Ensure that the latest electronics can become even more multifunctional as well as increasing productivity. 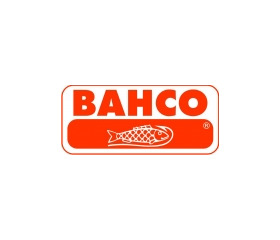 Estonian company Toolmarketing OU is the official representative of the Swedish brand BAHCO in the Baltic States. We sell high quality hand and pneumatic tools, metal, wood band saws, bor-mills, fine equipment for auto garages, special car tools, professional gardening tools, precision tools for the electronics industry. 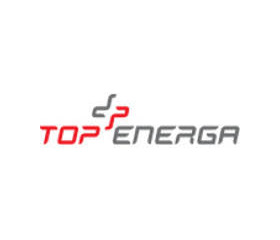 TopE Lighting - Manufacturers and suppliers of LED luminaires, whose products include lighting solutions both in individual homes and in industrial premises or outdoors. We are constantly improving in the technological field and we are the first in Lithuania to offer our customers a quick and convenient calculation of the required lighting using our developed lighting calculator. LED lighting is an increasingly popular solution when it comes to saving electricity while still providing better lighting. 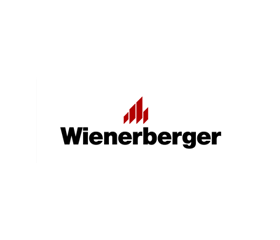 The Wienerberger Group is one of the largest producers of ceramic materials, whose activities are focused on brick production and supply worldwide. The Group has 200 factories in 30 countries. Wienerberger was founded in 1819. The company ranks first in the world for the production of ceramic blocks, the first in Europe and the second in the US for the production of ceramic bricks and the first in Europe for ceramic tiles.